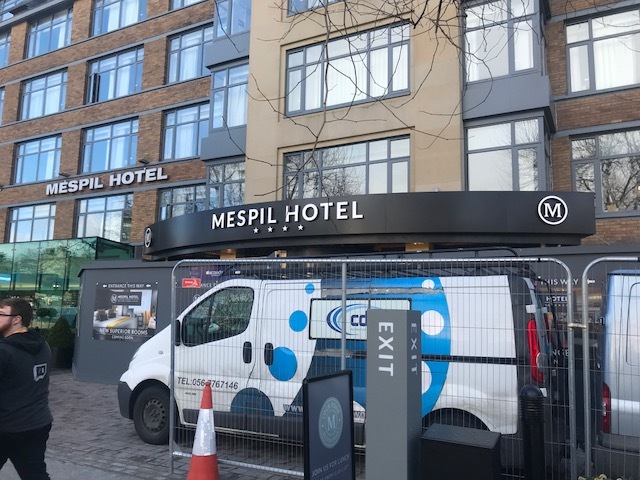 When asked by Ardsbeg Construction to take a look at the new facade architectural metalwork package required for the Mespil Hotel which was designed by Darmody Architects all we could do is say yes. 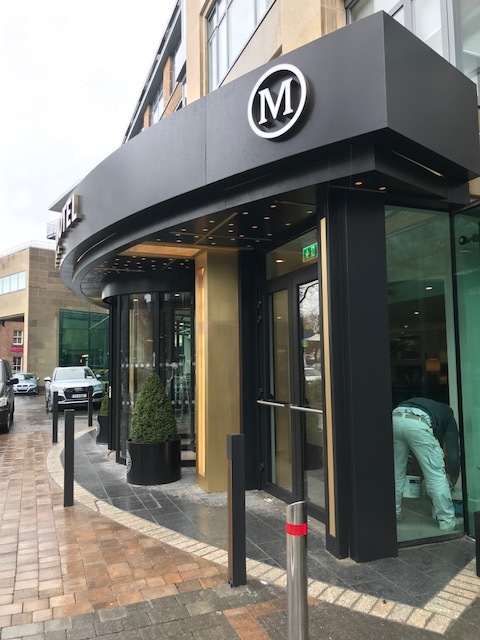 Getting a chance to work with such an impressive design and to work with brass and aluminium of course was all we needed to hear. 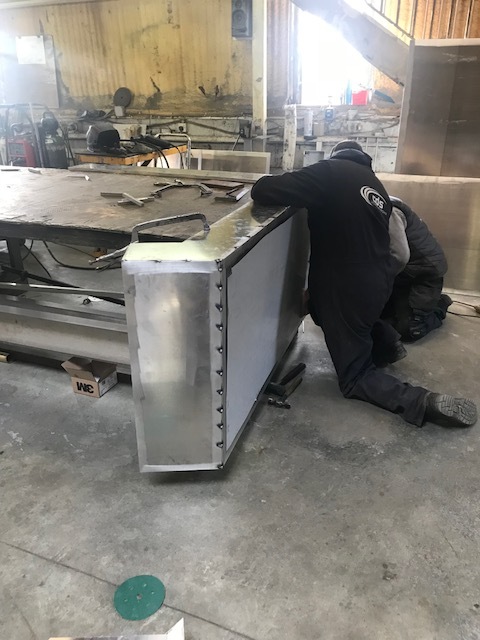 We set about manufacturing aluminium panels by cutting and welding rather than just folding. 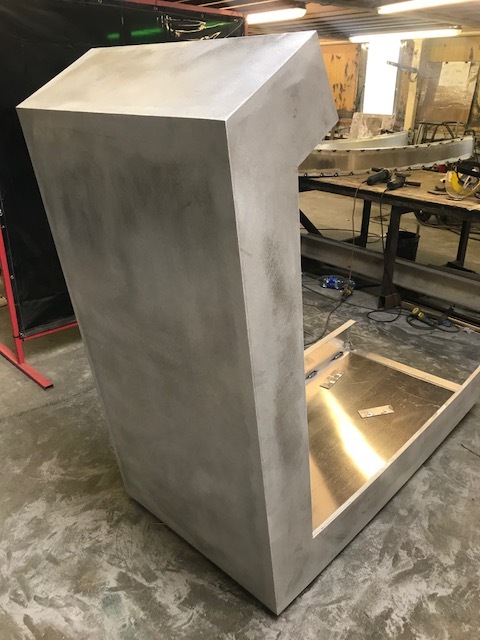 The clean sharp lines of the welded and polished corners gave a more decisive appearance to the design. 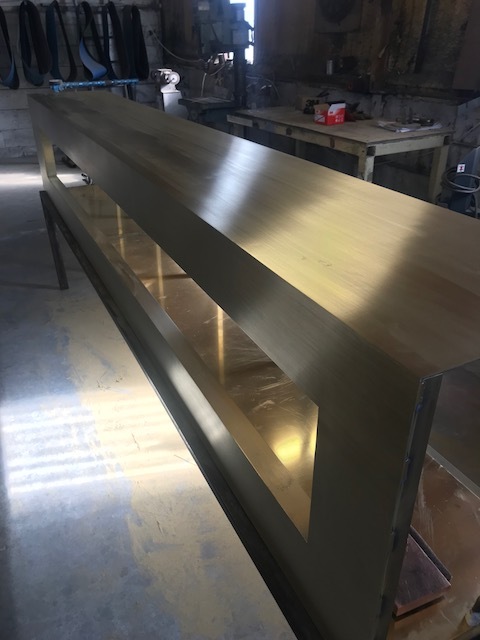 With the brass we carried out the same procedures on this architectural metalwork package. Cutting and welding the brass instead of just folding. Once all pieces were complete the install began. 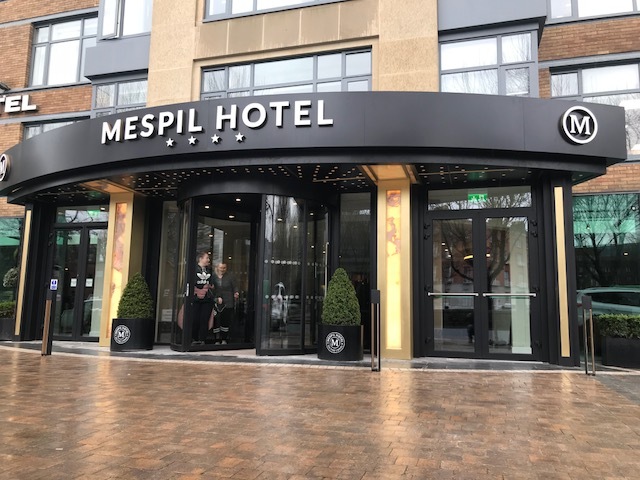 Space was tight at the Mespil Hotel as business needed to contunue as usual at this busy location. The curves were difficult but worth the painstaking efforts by our team. 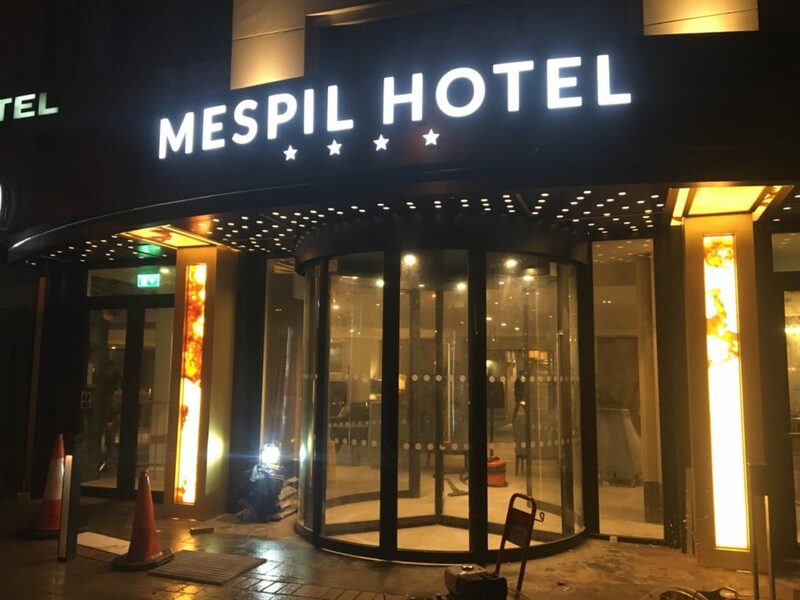 The Mespil Hotel by night. For CDS this was indeed an interesting and prestigious project to be involved with. 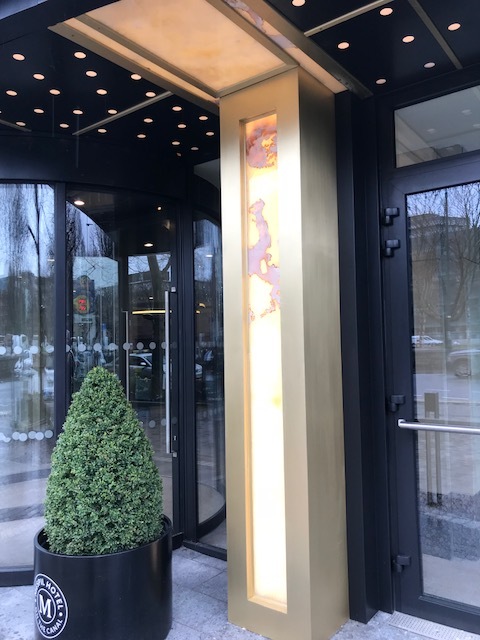 Brass and aluminium are indeed metals we enjoy working on and they really add value to this facade. Well done to our team and the construction team and thank you to the design team for allowing us to work with them on this one. 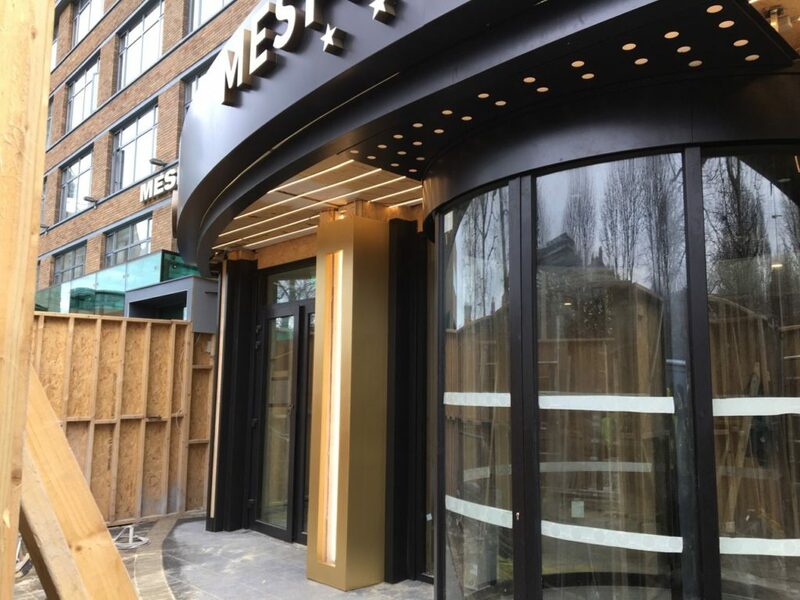 Best wishes to the management and staff at The Mespil and we hope this new facade will enhance even further if possible The Mespil experience. for more information please feel free to drop us an e-mail at info@cdsmetalwork.ie or call us at 00353 56 7767146.